The United Nations Entity for Gender Equality and Empowerment of Women (UN Women) has urged private sector and civil society organisations(SDGs) to partner with government to ensure the advancement of Nigerian women and girls in line with Sustainable Development Goals 5. 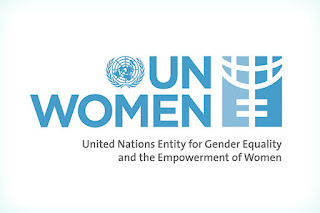 The call came from Ms Comfort Lamptey, UN Women Country, Representative to Nigeria and ECOWAS, at a news briefing held after a Private Sector CEOs breakfast meeting on “Implementing the Sustainable Development Goals for Women’s Empowerment in Nigeria” in Lagos. Lamptey said that the private sector in Nigeria was well-positioned to bring funding and new solutions to achieving the SDG-5 by 2030 with its on-the-ground networks and its ability to innovate. She said the Nigerian private sector was similarly positioned to advance transformation by harnessing the power of the SDGs to promote the empowerment of women and girls in the country. “Cultural barriers and early marriage are some of the challenges that hinder women from effectively participating in the economic and political space of the country. “Our work in Nigeria is centrally driven by the objective of supporting the Federal Government of Nigeria to create opportunities for women and girls to access quality education, healthcare, nurture and protection, as well as accelerate progress towards their empowerment. “The collaboration will help us to harness the institutional power of the government, the passion and expertise of civil society and the creativity of private sector to achieve gender equality, equity and the empowerment of women and girls in Nigeria. “It is our hope that we can utilise this meeting to accelerate Nigeria’s implementation of SDG- 5 by forging strategic partnerships for resource mobilisation, technology transfer and capacity building,’’ she said. Ms Olajobi Makinwa, Chief, Africa Section, UN Global Compact, called on private organisations to make a commitment to improve women economic empowerment within their firms. “Women rights and empowerment in Nigeria starts from the private sector and this can be achieved via their policy agenda for women. “It would be a seed-action and the harvest will be a future in which our daughters and sisters can thrive, grow and aspire to becoming anything and everything they have the audacity to dream and reach for,’’ Makinwa said. Mrs. Adejoke Orelope-Adefulire, Senior Special Assistant to the President on SDGs, said that the government had been strengthening efforts at achieving gender equality and women empowerment in the country. Orelope-Adefulire, who was represented by her Special Assistant, Ms Rose Keffas, said there had been efforts towards enacting the Gender Equality Bill at the National Assembly to eliminate all forms of violence against women. She said that the federal government was open to partnerships to create awareness, achieve a mental shift and empower women and youths to build a competitive economy. In her presentation, Ms Thelma Ekiyor, UN Women Consultant, said that the SDGs provided the private sector with a framework to align its Corporate Social Responsibility (CSR) initiatives to long-term sustainability objectives and goals, such as SDG-5 on gender equality. Ekiyor said that investing in SDG-5 would facilitate the implementation of all the SDGs in Nigeria, which would also advance business and economic goals. “UN Women can provide technical support to private sector entities to guide the implementation and maximise the impact of their CSR initiatives.